DAVIS, CA (January 26, 2017) – Farmer Veteran Coalition (FVC), a national nonprofit organization that assists military veterans embarking on careers in agriculture, announced today the Farmer Veteran Fellowship Fund will begin accepting applications February 1 for the 2017 award cycle. The Farmer Veteran Fellowship Fund is the largest grant program in the country that provides direct assistance to veterans in agriculture and has awarded more than $1 million since it was established in 2011. Diane Vanderpot (left) joins Farmer Veteran Coalition as Chief Operating Officer while Lanon Baccam (right) will serve as Deputy Director. DAVIS, CA (January 18, 2017) – Farmer Veteran Coalition (FVC), a national nonprofit organization that assists military veterans embarking on careers in agriculture, announced today the hiring of two top executives to the leadership team. 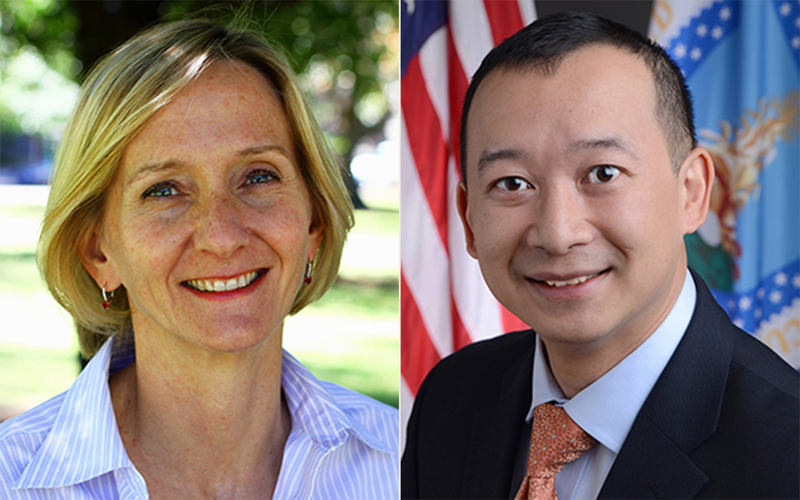 Lanon Baccam joins FVC as Deputy Director based in Washington, D.C., while Diane Vanderpot will serve as Chief Operating Officer out of the Davis, California office. 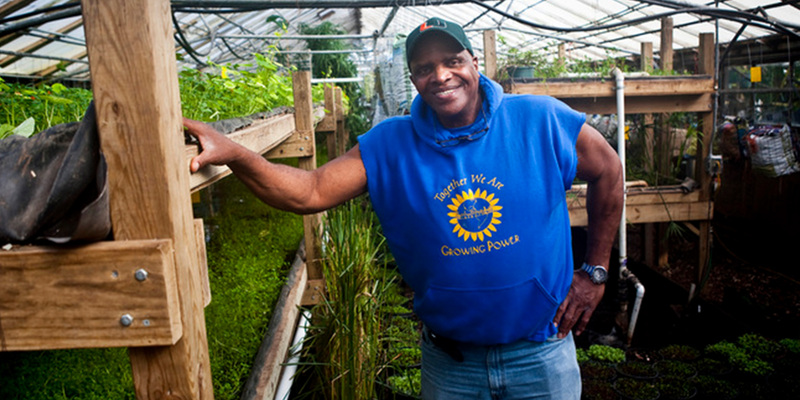 As CEO of the national nonprofit Growing Power Inc., Allen has been at the forefront of the urban farming movement by helping to provide equal access to healthy, high-quality, safe and affordable food for people in all communities through training, active demonstration, outreach and technical assistance. These efforts have led Allen to be recognized as a preeminent practitioner of urban agriculture in America and throughout the world. 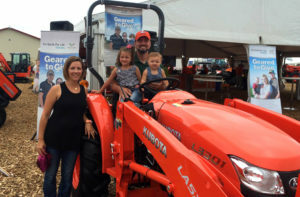 Kubota Tractor Corporation, in partnership with Farmer Veteran Coalition, awarded the sixth tractor of the “Geared to Give” program August 30 in a special ceremony at the Farm Progress Show in Boone, Iowa. Aaron White, a Marine Corps veteran who served two tours in support of Operation Enduring Freedom, was the recipient of a Kubota L-Series compact tractor presented by Todd Stucke, Kubota senior vice president of sales, marketing and product support, and FVC Executive Director Michael O’Gorman. 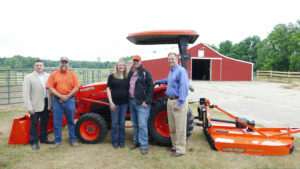 Kubota Tractor Corporation announced the latest recipient of a donated tractor in its “Geared To Give” program is Michigan resident Jason Scramlin, owner of Split Rail Farm in Hickory Corners. During a special ceremony Thursday at his farm, Scramlin was presented with the keys to a Kubota L-Series compact tractor in recognition of his years of service in the U.S. Marine Corps and for his dedication to farming. The donation by Kubota–the fifth donated tractor in the “Geared to Give” program–is in partnership with the Farmer Veteran Coalition (FVC), in an effort to provide financial support and donated Kubota equipment to U.S. military veterans pursuing a future in farming. 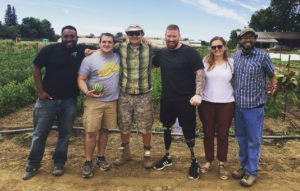 Earlier this month, Farmer Veteran Coalition hosted two British Invictus Games athletes for a farm tour as one of many stops during their visit to San Francisco to share experiences with other injured service members and learn more about programs and services that actively recruit veterans into meaningful careers. Nathan Cumberland, a 10-year British Army veteran, and Louisa Walker, a 16-year veteran of the British Royal Corps of Signals, made the trip to San Francisco which was made possible by the Invictus Games Foundation and the British Benevolent Society. The Invictus Games, which were created by Britain’s Prince Harry in 2014, are an international Paralympic-style multi-sport event in which wounded, injured or sick armed service personnel and their associated veterans take part in various sporting events. The Farmer Veteran Fellowship Fund announced a record $320,000 in new awards this week. The awards, ranging from $1,000 to $5,000 went to 140 veterans who have already launched, but are still developing, their farm businesses. The grants are paid to third-party vendors on behalf of the veterans for things such as livestock, bee supplies, well-drilling and farm equipment. This year’s grants put the total amount of purchases made on behalf of the five-year program to well above $1,000,000. Nine experienced farmers and agriculturists selected the grantees from a record 200 applicants. Recently, FVC Executive Director Michael O’Gorman joined Lt. Col. Denny Gillem, U.S. Army (Ret. 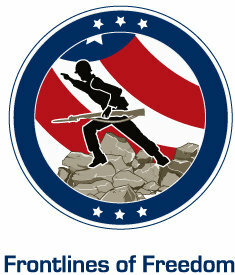 ), on his nationally syndicated radio program Frontlines of Freedom to spread the word about Farmer Veteran Coalition. Michael’s interview begins at the 23-minute mark. Listen to the full interview to hear more details about the free, enhanced membership FVC will be launching this summer. 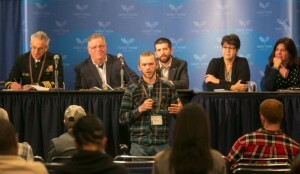 DAVIS, California – Farmer Veteran Coalition (FVC), a national nonprofit serving military veterans in agriculture, has announced that its Michigan chapter will host the third annual Farmer Veteran Stakeholders Conference this fall. The conference will be held November 30 to December 2 at the Kellogg Hotel & Conference Center at Michigan State University in East Lansing. FVC-Michigan will work with MSU’s Vets to Ag Program to host the conference, which will bring more than 500 farmer veterans and supporters from around the country to the university. The conference will feature workshops on agricultural topics, business planning and personal wellness. Evenings will feature distinguished speakers from the military, government agencies and leaders in the agricultural industry. 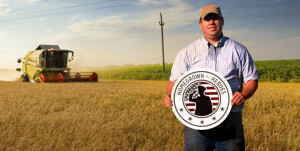 When Farmer Veteran Coalition assumed stewardship of the Homegrown By Heroes label from the Kentucky Department of Agriculture in 2013, FVC Executive Director Michael O’Gorman had one goal: expand the label to a nationally recognized brand that differentiates farmer veteran products in competitive markets. Today, thanks to generous support from Farm Credit, the Homegrown By Heroes label has expanded to more than 500 members representing 46 states plus Puerto Rico. 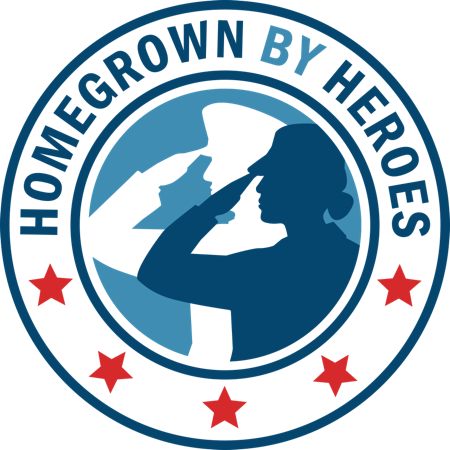 Of those 46 states, Homegrown By Heroes has officially partnered with 15 state departments of agriculture to promote the label in conjunction with their own “Buy Local” labels.